Stock market investors and huge pension plans in pursuit of boom-era returns are chasing just about anything with a growth story, regardless of whether the underlying company actually makes any money. Why it matters: The market demand pushing up sky-high valuations for companies like Lyft, Uber, Airbnb and others is akin to the housing bubble in the early aughts, says Karl Dasher, CEO and co-head of fixed income at investment firm Schroders. "The last time we saw that in fixed income was the housing crisis where within asset-backed securities, particularly sub-prime mortgages, there were built-in assumptions about price growth and ability to re-finance," Dasher told Axios during a media reception at the company's headquarters. The big picture: Last year 81% of American companies were unprofitable in the year leading up to their public offerings, according to data from Jay Ritter, a University of Florida finance professor. The unprofitable companies are so far outperforming the profitable ones— with median returns of 120% on an annualized basis from their IPO price vs 57% for companies that generated a profit. Between the lines: This latest iteration of investor FOMO ("fear of missing out") has its roots in the Great Recession and the U.S. response to it. The financial crisis drained Americans' home equity and life savings, and it put fund managers overseeing the $27.1 trillion currently in U.S. retirement savings well behind their expected return totals. Quantitative easing was the response. Sold as a palliative to get credit to distressed Main Street homeowners and businesses, the biggest impact of the Fed buying up Treasury bonds to flood the economy with cash was a burst of mega-mergers and the stock market rising to all-time highs. That flood of cash also pushed bond yields to near zero. With stocks booming, investors began moving out of safe-haven bonds and cash holdings and into stocks and alternative assets, starting in 2009. Investors who have taken more risk have been rewarded with higher returns, meaning more clients and higher income. So more investors have followed. And so-called growth stocks have trounced value stocks since the crisis. 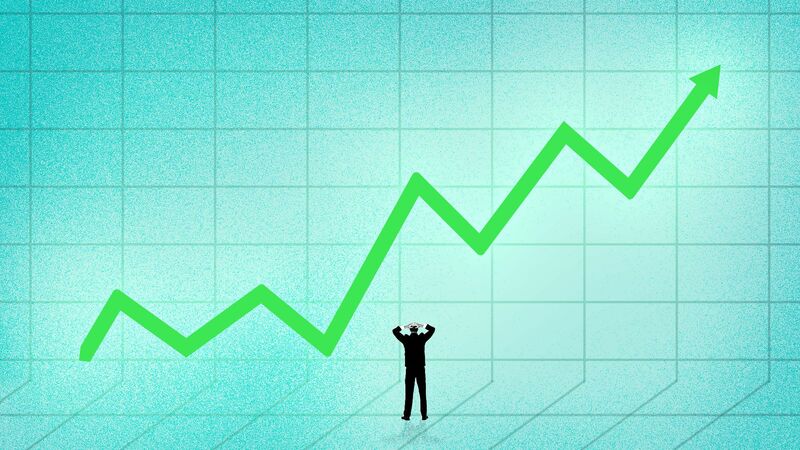 An index tracking growth stocks — those with high prices compared to the amount of money they're earning — has delivered a cumulative return more than 100% better than the corresponding value stock index from 2007 to 2018. The bottom line: Companies like Lyft will continue to find a bid as long as they can convince investors of their growth story — at least until there's a crisis or something that changes the current market environment.